Industrial Heavy Duty Workbenches and Workstations are an integral part of many manufacturing work areas. 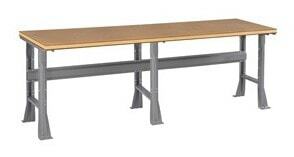 Workbenches and workstations may be used for assembly, welding, repair, or inspection. 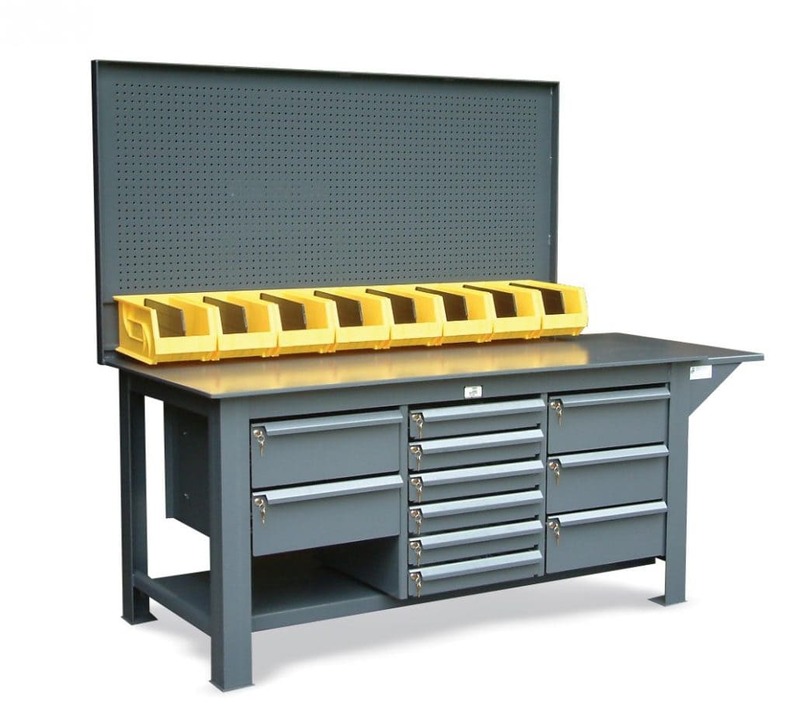 Furthermore a properly designed industrial heavy duty workbench and workstation will make all the difference in creating the most productive work environment possible. To increase your employee’s productivity, let Cranston’s team do an assessment of your work area. You can rely on the broad experience of Cranston Material Handling of Pittsburgh. Our experts will recommend the appropriate types and configurations of industrial heavy duty workbenches for your facility. Workstations, when ergonomically designed, improve your employees’ well-being and productivity. Cranston Material Handling of Pittsburgh carries a full line of workstations from several manufacturers. Cranston’s experts can help you sort through the wide range of workstation options. Also we can help you to create a workspace where your employees can be highly productive. Cranston can help you determine the options that will provide you with optimal flexibility, whether you need adjustable height or accessories that tilt and rotate. We’ll start by talking with you to understand your needs; then propose the right combination of workstations and accessories to create the ideal work environment for your operation. Assembly and Inspection workstations focus on productivity and ergonomics. Your workers need access to components while minimizing repetitive motions. Workstations should include accessories that assist in preventing strain. Thereby providing adjustability, a convenient working height, and options that can place tools and other items within reach of the operator. Customer Service workstations need to be efficient while providing a professional appearance. The challenge is to create a workstation that holds all the items your employees need. Also to have accessible, while looking neat and organized to give your customers a good impression. Laboratory workstations require tops and surfaces that resist harsh chemicals. These workstations should also provide for plenty of storage or shelf space, which is needed in a lab environment. Shipping and Receiving workstations should manage outgoing and incoming parcels with ease and efficiency. To increase the size of your work area, an upper document shelf can hold binders or supplies above the work surface but still within comfortable reach. We can add monitor and keyboard attachments that pivot to the optimum location for your employees. Mobile workstations provide maximum flexibility. Mobile workstations can be reconfigured, as your workflow changes. Also they can be moved directly to the area where the work needs to be accomplished. Packaging workstations must be neat and organized to correctly prepare your products for shipping. Overhead carton storage and a middle-level document shelf provide storage for the most common cartons and supplies. Rolls can be stored above or below the table within easy reach of the packer. When it comes down to it, no matter how you use your workstations, Cranston Material Handling of Pittsburgh can recommend and install workbenches and workstations that are designed with your work in mind.